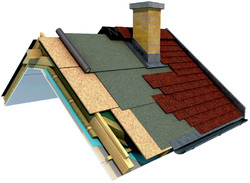 Breathable and Durable: Triple layer quality protection for your roofing needs. Fiberglass strengthening mesh for external thermal insulation system. PVC corner strip with fiberglass strengthening stucco mesh. Canadian distributor of government approved quality high performance building products. © Masterplast (Canada) Inc. All rights reserved. Website by Anithan Consulting Inc.